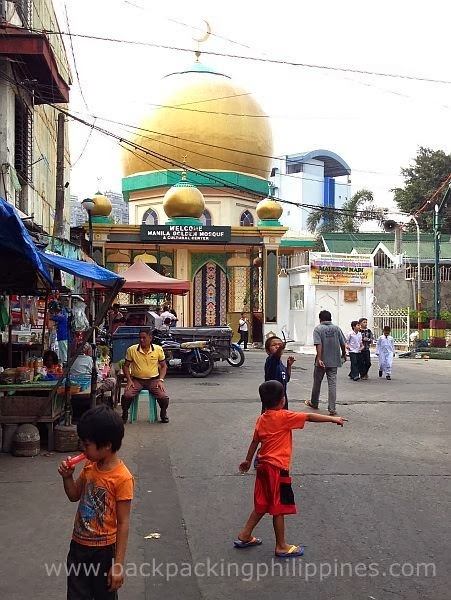 The Golden Mosque is a landmark in Quiapo, Manila with its iconic gold dome, thus the name Golden Mosque. It was built in 1976 upon orders of then First Lady Imelda Marcos, in preparation for the visit of Libya's President Muammar al-Gaddafi (that was cancelled). 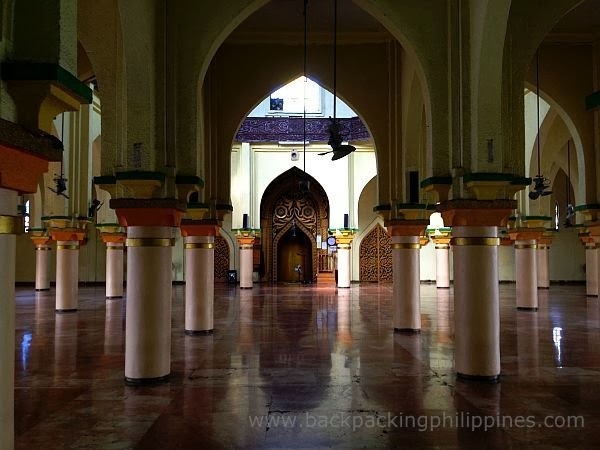 This is the first time Tutubi was able to set foot inside the famous mosque, the largest mosque in Metro Manila. He has only seen it from the outside (even from the Pasig River where the golden dome can be seen). Entrance Fee: none. you can donate any amount before exiting though an envelope handed out by guards at the gate. You should wear appropriate dress for men and women and also take off your shoes before entering the mosque. From LRT Carriedo Station, you can just walk passing by Carriedo, Hidalgo, Plaza Miranda (Quiapo Church), Quezon Boulevard, Quinta Market then Globo de Oro Street. If you have a car, you can park near Quinta Market where parking attendants (street parking) may charge you PhP20.00 up to PhP30.00 so that you have someone watch over your car while you're away. 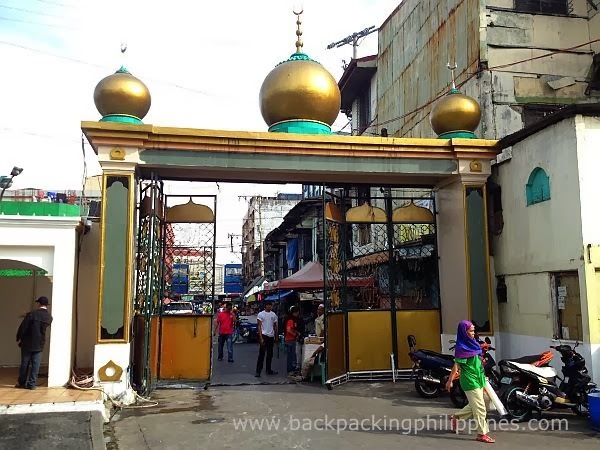 Around the Golden Mosques are numerous restaurants serving halal food for the Muslim community including Tausug and Maranao cuisine e.g Moud's chicken halal (arab spice chicken), Junairah Halal Center (Maranao: pater/pastil rice, palapa, fish eggs (bodi), balbacua (bulalo flavored with turmeric)). This is a different post on its own as most people go there to buy DVDs but you can also find bargain Muslim wares from Mindanao. is it has the lecture for a new muslim? 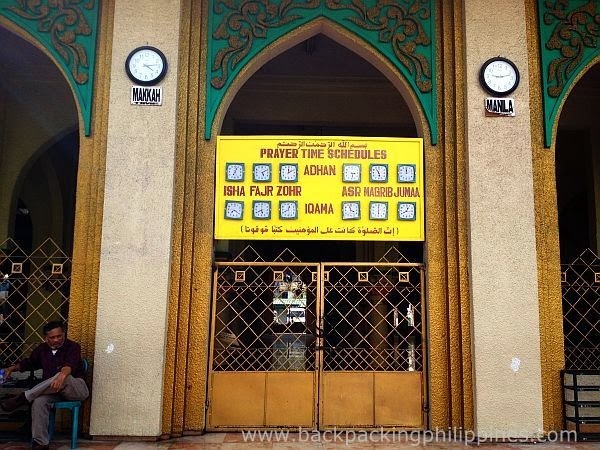 nais ko po lamang malaman kung ang golden mosque ay nagtuturo ng arabic lecture at arabic quran?